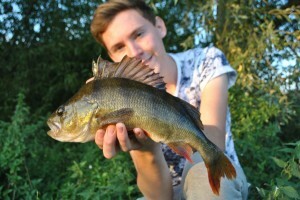 The last qualifying match of the Evening League was fished at Heybridge Basin on Friday, with another poor turnout, which was a pity as the average weight of fish caught was 5lbs. There were no new qualifiers for the final. A total of 25lbs 14oz of fish were landed, with one Perch over a pound. Mark Campion, Chris Dyall, Andy Stebbing, Steve Willis, Geoff Forman, Peter Lamb, Dave Smith, Steve Holdon, Bill Woollcott and Kim Naish. 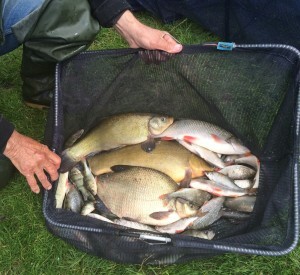 Wednesday 26th July see’s the AT Veterans National being fish at Partridge Lakes, Warrington, with a lot of Maldon members as well as other local Clubs taking part. I would like to wish all a good day and hope we can produces the winner. Result at Paper Mills, Friday 30th June 17. Jeff and Peter go forward to the final, only five fished which was a bit disappointing especially as all caught some nice size Roach, Dace also small Perch were landed. A total of 25 lbs 8 oz 8 drm of fish were landed. Next match Friday 7th July at Chapmans, draw at Railway Pond at 05.00pm. This rather nice roach (or hybrid?) 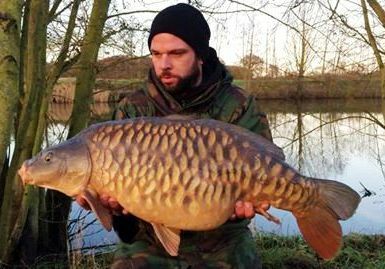 fell to two sweetcorn haired to a size 12 under a locslide float. 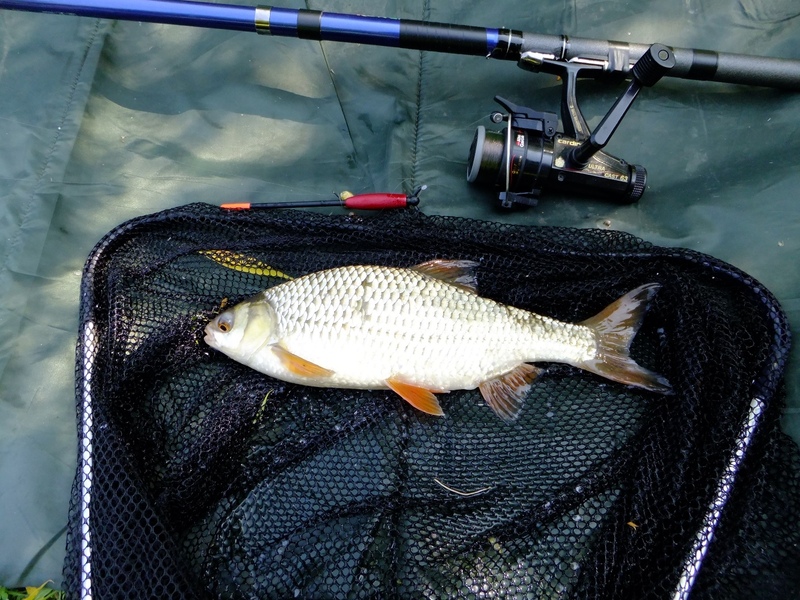 Here’s the obligatory ‘fish on a landing net and unhooking mat with float and rod for scale ’ photo. Didn’t have my scales with me (again!) runs about 31/32 cm long, the locslide float is 15cm long so there’s a measure. 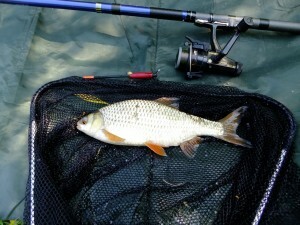 Other than some pesky perch and a few more hand size roach a quiet day…. apart from the carp going doolally spawning and thrashing about. As an aside this is my first year back regular fishing since I was a lad of 13/14 so far this year I’ve had a 13lb pike the other week, a 5lb+ tench out of Rook Hall and a 10.6 common out of Little Park (that’s one of my personal goals for this year done a double carp, am still up for the 20lb pike) – Al. 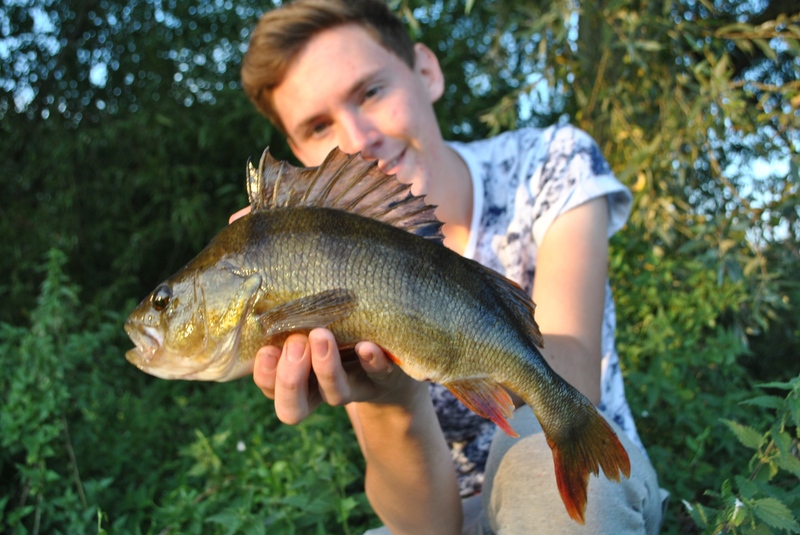 To encourage photo submission we’re running annual prizes of half-price membership for photos submitted in two categories of ‘carp’ & ‘non-carp’. Judges decision is final and it’s not always about the biggest fish, it might be the ‘prettiest’ fish or it might just be a good photo. Keep those pictures coming and we’ll be pleased to pick the winners again next year.